Dark Blonde Lace Front Wigs? "I've been looking for dark blonde lace front wigs but they all seem to be different, what colours are they?" 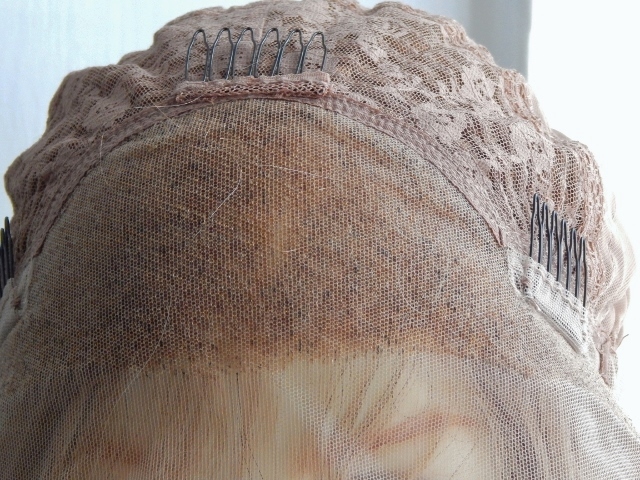 Not gonna lie; dark blonde lace front wigs are not exactly easy to quantify. I mean think about it, what exactly is "dark blonde" and how does that differ from say "light brown"? The fact is, whenever someone asks us about dark blonde hair, they've typically seen the colour they want (either on telly or in a magazine) and it's pretty difficult to gauge exactly what type of blonde you're looking at over a computer screen (or if you're mobile, then on your tablet or indeed... mobile). So we figured that instead of trying to quantify (what we consider to be) the unquantifiable, we'd give short review and pay homage to our readers by running through dark blonde lace wigs. Yes, that's right, this is not a science website and all we can give you is our honest reckonings. Technically on a colour ring dark blonde is one of several things - a combination of a lighter blonde colour and a darker brown colour which is why there are plenty of honey -blondes or caramel blondes which basically balance browns and yellows (now back in my heydays of face painting at primary schools I made the colour brown by mixing red and blue to make purple and then adding yellow to make brown; if I wanted a lighter brown, I added more yellow - stay with me, this is leading somewhere... I promise). 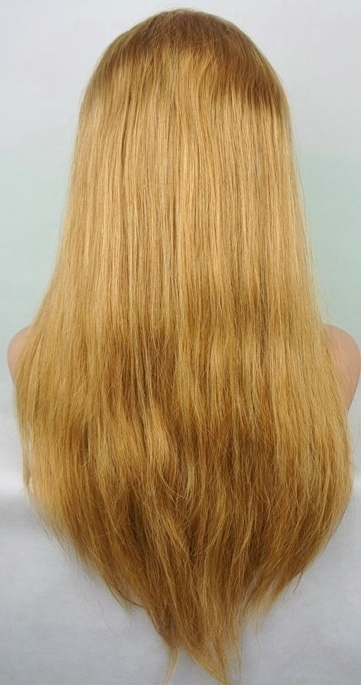 This means that a dark blonde hair wig is either a single solid colour or a combination of colours (dark browns, light browns, darker blondes and brighter blondes). If you choose a multi-tonal dark blonde it will have different colour strands of hair to make the overall dark blonde look - (like the face painting anecdote - a tenuous link I know, but you get the point). The cap image shows dark brown dots which are in fact #4 (dark brown) strands of hair. If you weren't already confused then the following might do just that because not only do browns make a blonde a dark blonde but the red ads to that to make the a strawberry blonde which yes, can qualify as a type of dark blonde hair; so back to my face painting reference of using red (told you it would lead somewhere). "Which skin tones suit dark blonde lace front wigs?" Everyone; that's right; dark blonde hair works with every type of skin tone - because [by the crazily convoluted definition above] dark blonde hair wigs usually contain two or more colours and the tonal nature means that there's a version of dark blonde hair that will suit you (it feels like this is where we should be advising you to ask your alchemist for details). You can of course always arrange for a custom made dark blonde lace front wig that is coloured to your own specifications. "How do I wash my dark blonde lace wig?" If you have a human hair blonde wig where the hair was naturally dark and then dyed blonde, you’ll need to deep condition with a conditioner specifically for coloured hair to ensure the colour doesn’t fade. It's also a good idea to use oils like Argan oil or coconut oil is also a good idea to prevent the hair drying out. If you choose a synthetic lace wig, then things are much easier in terms of washing as you can either use a synthetic wig shampoo or wash with a mild shampoo as normal.